Oh, my, how time got away from me today and most contribution for this week will be very short, but I promise, I’ll catch up later. It literally was a cook and eat moment between rain and biting mosquitos…I had to finish the cedar planked grilled fish under the broiler but the flavor of the cedar and smoke worked their magic in just a few minutes! Fabulous fish with a great salad in my refurbished salad bowl from good friends…more on that later as well. As Eric suggests salt and pepper the fish, rush butter over and sprinkle herbs de Provence (I used sparingly) and then just follow his advice for slate cooking, but on a seasoned smokey cedar plank…worked for me! Eric’s words…Oil the slate on the side you’ll be cooking the fish, place on a cold grill and begin heating to medium-high (a hot grill may break it). In the meantime, season the fish with salt and pepper, then coat one side generously with Herbes de Provence. 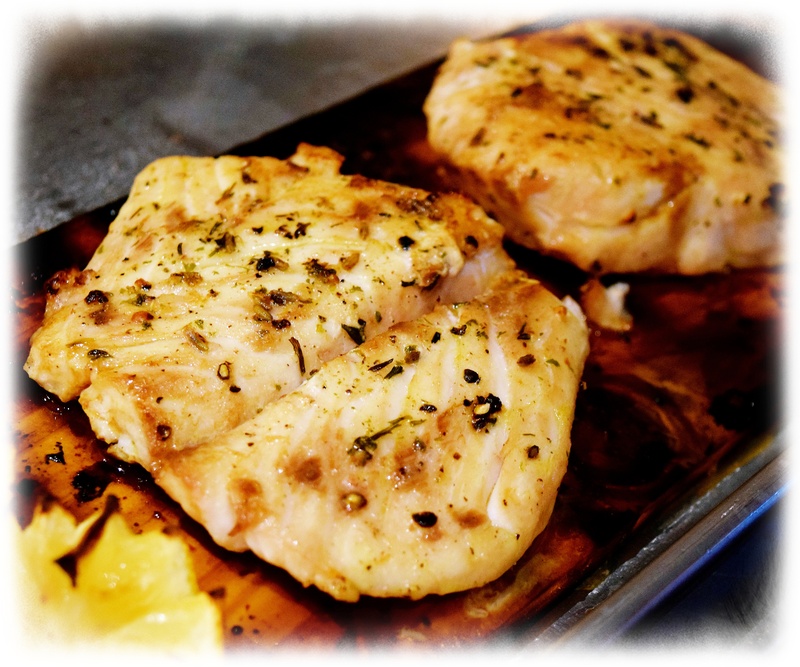 (The herb mixture is strong and can overwhelm the flavor of the fish if put on both sides.) Cover in olive oil and marinate while the grill is warming up. The stone is ready when a splash of water immediately evaporates from its surface. Put the fish on and cook six to seven minutes per side, or until the fish is medium rare. Serve immediately and wait for your Michelin stars to start rolling in.